If you disagree with any of these terms and conditions please discontinue using our website, Thank You. This Copyright Notice governs the use of the web page at and its associated services, web pages, domains and sub-domains, which are owned and operated by Service Master (”Owner”). Wherever this Notice refers to “users” it means “you”, while “we” or “our” refers to Service Master and “Web Site” refers to ServiceMaster.co.za. If at any time the terms and conditions of this Copyright Notice are no longer acceptable to you, you should immediately cease use of the web site where it is located. You acknowledge that the web page contains information and/ or software, photographs, audio and video clips, graphics, links and other material that are protected by copyright, trademark or other proprietary rights of Service Master or third parties, including but not limited to product names, logos, designs, titles and words or phrases which may be registered in certain jurisdictions (collectively, the “Content”). You agree to comply with any additional copyright notices, information or restrictions contained in any Content available on or accessed through. If you want to use any content for any reason, you must obtain prior express written permission from Service Master. You may not modify, publish, transmit, transfer or sell, reproduce, create derivative works from, distribute, perform, display or in any way exploit any of the content, in whole or in part. Content consisting of downloadable software may not be reverse-engineered unless specifically authorized by Service Master or the owner of the software’s patent and or copyright. Subject to the provisions of this Copyright Notice, you may post on the Blog any content owned by you (such as your original statements), content for which you have received express permission from Service Master and content in the public domain. You assume all right and responsibility for determining whether any content is in the public domain. You grant to Service Master the right to edit, copy, publish, distribute, translate and otherwise use in any medium and for any purpose, any content that you place on without compensation to you. You represent and warrant that you are authorized to grant all rights set forth in the preceding sentence. You may not download content that is indicated to be for sale except under the terms of the sale. 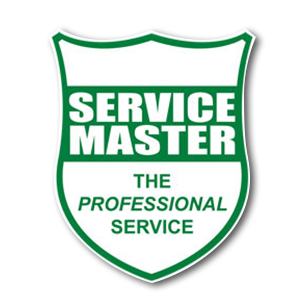 Such content is the protected and copyrightable property of Service Master. “Free” content may be downloaded for your personal use or non-commercial distribution, consistent with the terms defined in this Copyright Notice. When using both purchased and “free” content, you will maintain and include all copyright and other notices contained in such content. Except as expressly permitted by the copyright laws, no copying, storage, redistribution or publication of any content is permitted without the express permission of Service Master or the owners of such content or their authorized persons if other than Service Master. Our Disclaimer is part of, and subject to, these terms and conditions of use. You may view our disclaimer on this website.